Each moment is a never-again opportunity! 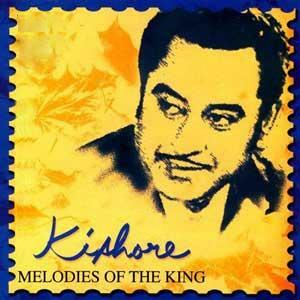 Yesterday was the legendary singer Kishore Kumar’s birthday. And I chanced upon one of his most memorable songs while shuffling channels on TV. The song is from ‘Aap Ki Kasam’ (1974, J.Om Prakash, starring Rajesh Khanna, Mumtaz and Sanjeev Kumar with music by R.D.Burman and lyrics by Anand Bakshi). It goes like this: Zindagi ke safar mein guzar jaate hain jo mukam, woh phir nahin aate, woh phir nahin aate…. The film itself has a powerful message. It tells the story of a jealous and possessive husband who doubts his wife and abandons her. Only to realize, much too late, that he was wrong. The song is sung by him in the aftermath of his awakening, where he pines for the time he spent with her and realizes painfully that those times can never be gone back to again, that what is lost is lost! This is so true with all our lives’ scripts too. Each moment is so precious. And if we are not alive to the moment, living in the moment, it is gone. Forever. Heraclitus (535~475 B.C), the pre-Socratic Greek philosopher, has said: “You never step into the same river twice.” What he means is that, Life, like a river, is ever flowing. It is always in motion. If you step into it once, it has changed by the time you have stepped into it another time. Similarly, with each passing moment, Life changes. In a new moment, which will never come back, you have a new opportunity to live. Using that moment, living it fully, is up to you. If you are going to be caught up with debilitating emotions like anger, worry, sorrow, greed and jealousy, you are sure to miss that never-again opportunity! Remember, no one’s getting any younger. And all of us are speeding towards our deaths – albeit at different speeds!!! Author AVIS ViswanathanPosted on August 5, 2013 March 14, 2016 Categories Aap Ki Kasam, Anand Bakshi, Greek, Heraclitus, http://schemas.google.com/blogger/2008/kind#post, Inner Peace, Intelligent Living, J Om Prakash, Kishore Kumar, Live in the moment, R D Burman, SocratesLeave a comment on Each moment is a never-again opportunity!